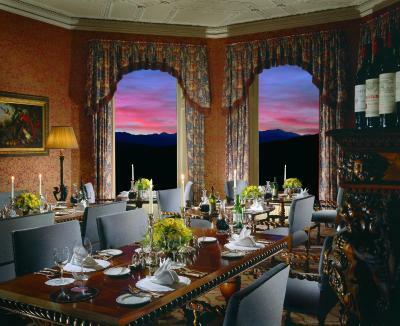 Lock in a great price for Inverlochy Castle Hotel – rated 9.3 by recent guests! Wonderful staff, strong focus on old school hospitality. Truly interested in your every need. Extremely responsive and really kind. Beautiful castle and grounds. The food was incredible. The staff was so eager to help. We will definately return. We had a fantastic stay. The staff were extremely accommodating. The food was superb. The rooms were spacious. The rooms throughout the hotel were well decorated. It has a 'secret' library. Beautiful grounds. Gorgeous hotel and grounds. Lovely trails through the gardens. Spectacular views. Great staff. It is the totality of elegance and charm. Good, decoration, ambiance, service, I have never experienced anything even vaguely similar. It was an experience. Honestly I felt like I was in an episode of Downton Abbey. 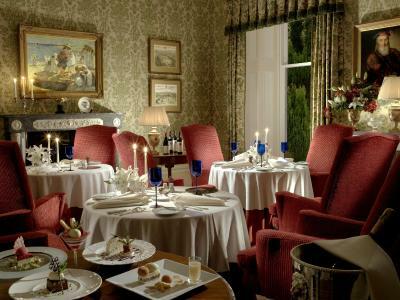 Classic mansion/castle environment with excellent service and a superb restaurant well located to explore the Scottish Highlands. The staff as amazing. They went out of their way to make things wonderful. Beautiful single night stay in a fairy tale castle. Very attentive staff. Our “small” room was actually quite large! Enjoyed the food. Wished we could have stayed longer to soak up the environment and location. Beautiful room and enchanting castle!! Delicious food! 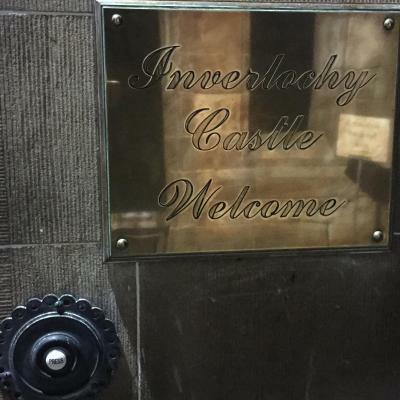 Inverlochy Castle Hotel This rating is a reflection of how the property compares to the industry standard when it comes to price, facilities and services available. It's based on a self-evaluation by the property. Use this rating to help choose your stay! 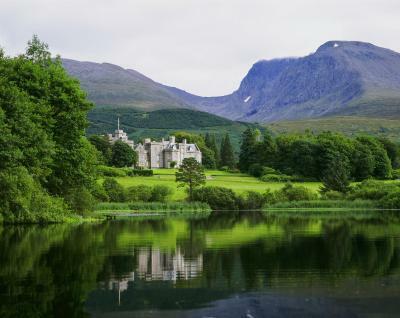 Set among the beautiful Scottish West Highlands scenery, 19th-century Inverlochy is an award-winning luxury hotel and restaurant. Fort William town center is just 4 mi away. 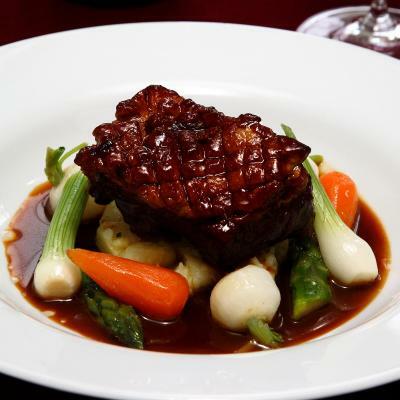 The Menu features modern British cuisine which is internationally recognized by all major guides. We have been awarded AA 3 Red Rosettes. All of the individually designed rooms have sumptuous decor, with a TV, CD player and a private bathroom. A DVD player and Play Station 2 are available on request. Striking mountainside views may be enjoyed. 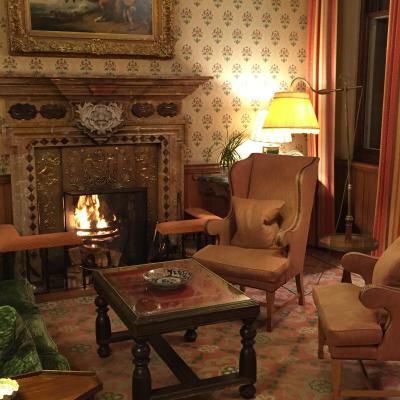 Leisure activities at Inverlochy include tennis, fishing and clay pigeon shooting. Free WiFi internet access and free parking are available. This property also has one of the top-rated locations in Fort William! Guests are happier about it compared to other properties in the area. 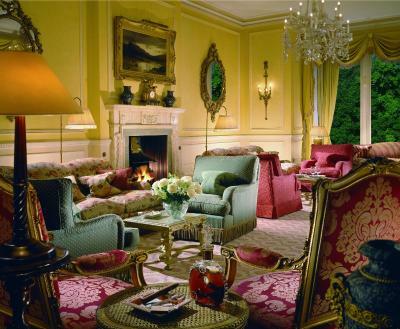 When would you like to stay at Inverlochy Castle Hotel? 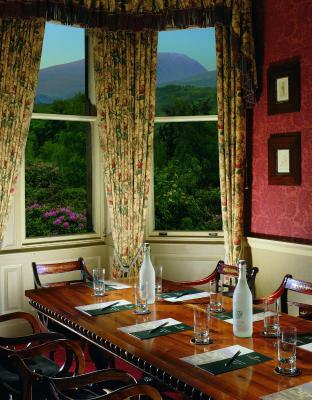 On the second floor, this room includes a double sofa bed and views of the castle gardens and Ben Nevis. The spacious bathroom has a bathtub and a shower. With views of the small loch or the surrounding mountains, this spacious room offers a bathroom with a separate bath and shower. With views of the castle gardens, the small loch, and the surrounding mountains, this spacious room is on the first floor and features a separate sitting area, which can be closed off. The bathroom has a separate bathtub and shower, along with a large window with a view of the loch and mountains. Located on the first floor, this spacious suite offers a sitting area with views over the loch. It also features a four-poster bed and a split-level bathroom with a separate bath and shower. The bathroom offers views over the loch and surrounding mountains. 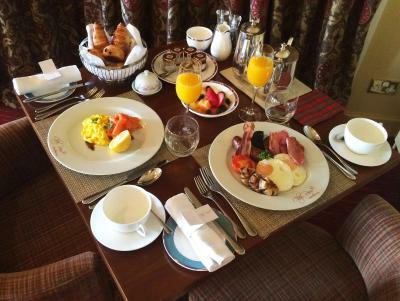 House Rules Inverlochy Castle Hotel takes special requests – add in the next step! 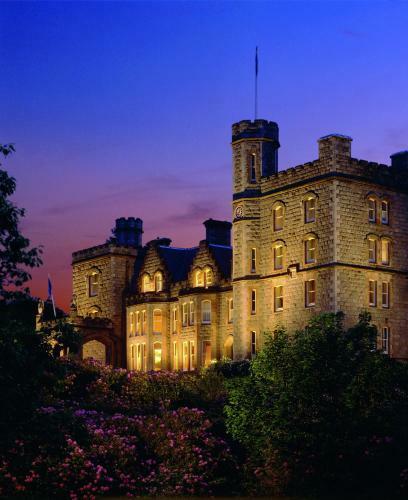 Inverlochy Castle Hotel accepts these cards and reserves the right to temporarily hold an amount prior to arrival. Please note that children under 8 years are not permitted in the Great Hall and Drawing Room after 18:00. A baby-sitting service is available, and families are welcome for private dining in the Library Dining Room. When booking 5 rooms or more, different policies and additional supplements will apply. Please contact the hotel for more information, using the details provided on your booking confirmation. When booked together, the Junior Suite and the Suite can be linked with an interconnecting door. Please note that a jacket is required for gentlemen in the evening in the restaurant. 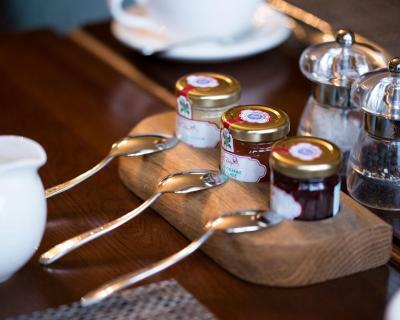 Should guests wish to eat at the restaurant they are advised to reserve a table in advance, and inform when making the booking of any dietary requirements. A beautiful place to stay - extremely well appointed, luxurious and definitely an over the top lush sort of accommodation. The food was equally impressive. The hotel is lovely, but with alll due respect we did not find it to be a five-star hotel, due to a need for further facility modernization. It seems to be popular and rates are quite high, so this may just be personal preference, but we have stayed in much more updated and luxurious castle hotels for a lot less, that were actually five-star. I was disappointed compared with rate paid and expectation of quality. Outside of the kitchen & restaurant, the hotel perhaps doesn’t achieve its potential when it comes to other facilities and decor. An attractive castle property in wooded grounds. Good cuisine. What can one possibly learn from perfection. Definitely one of the best places I been to. And I’ve stayed in a few! Great food, friendly and super helpful staff. Wonderful location. The dinner menu in the restaurant was the same day in day out. This is not very good for a guest who wishes to stay for more than one night and who dislikes the same menu for the week ahead. The hotel does not cater for all tastes. There is no formal lunch either and despite it being Mothering Sunday during my stay, no traditional “roast lunch” was served. 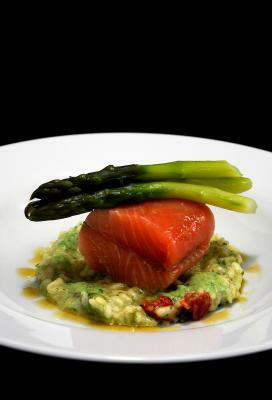 Other hotels of this category do provide extensive a la carte and table d’hote menus throughout the holiday period. Food is a big part of my holiday and the nouveau cuisine is not up to the standard of say Glenapp in Ayrshire which is not so far away. The hotel is really a transit hotel, a one night stop off. Socially this is disappointing. For the size of the property, I thought the gardens were small and front ended. I was told land had been sold off to farmers reducing the size of the estate but the views were thankfully in tact. Significant Improvements are needed in the kitchen with regards to food availability and type of food served. The fruit scones and porridge however were good. The staff were very welcoming, polite and courteous. They were a continued help during our stay Our room was peaceful, clean and comfortable although the hand shower did not work. The hotel manager was very apologetic and as a gesture of goodwill, we were moved to the much larger queens suite. There was truly no need to do this as we were more than comfortable in our room but we appreciated the kind gesture. No Tea/coffee in room.great for special occasion. Views from all windows. Breakfast exceptional. Furnishings beautiful. Taxi service good. You need one to go into Fort William. Not a lot to see in Fort William. The loch is lovely and the museum good. I liked it very much but it a quiet, peaceful ambience. We told the staff it was my Aunt's 90th birthday. They had provided a younger adult with a slice of cake with a candle but ommitted to do so for my Aunt. This is a lovely victorian mansion house. Very luxurious. Furnished with antiques it is elegant and spacious. Each window gives a scenic view over trees and mountains. The gardens are lovely. The food was delicious. The service was excellent with staff giving attention to all guests and providing assistance when required. The bedlinen was the best ever. 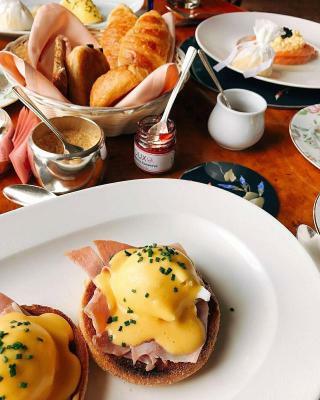 This was our third visit to Inverlochy and it always lives up to its excellent reputation. No fitness facilities, no tennis, no spa, poor working closet doors, old soiled tee shirt still in bed from another guest, floor was not vacuumed during cleaning.